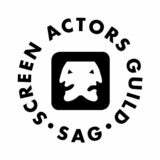 The Screen Actors' Guild's rejection of a contract with game makers can be seen as a tempest in a teapot - 80 percent of voice work is non-union. But the LA Times goes further to see what's really at stake. Mostly, SAG voice actors are concerned about a new work classification called "atmospheric voices," in which one actor supplies the dialogue for up to 20 incidental characters for the same $800 fee per four hours of recording. The actors also have a concern that all extra yelling, grunting, and yeaaarghing will place additional wear and tear on their pipes although the deal includes protections against "vocal stress,"
Before, you were doing three characters dying a horrible death. Now you're doing 20 characters dying a horrible death. Not only will this mean less money for more experiences, it's also going to be a lot more vocally difficult. The American Federation of Television and Radio Artists approved the deal. Its executive director said ratifying the deal is important to give publishers more reason to hire union talent. "A lot of employers are not signatories to our contract," its executive director told the Times, "and part of the reason is that we can't accommodate their budget ... This will keep us in the game." If you're going to rip the union or its members for rejecting the contract or being too concerned about their vocal cords, at least read this entire article before commenting. Thanks.